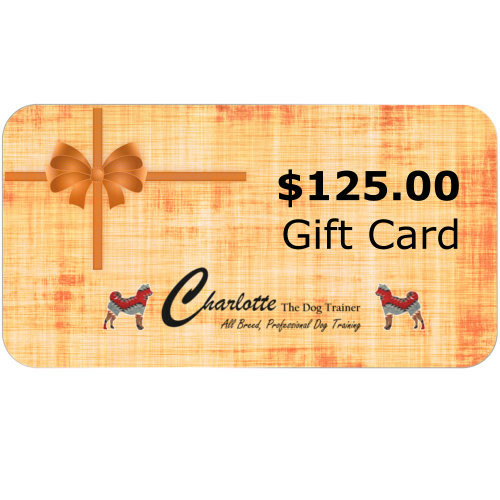 Purchase a Gift Certificate good for Beginning or Novice Training Class with Charlotte. An Excellent Gift Idea!! Your Email Purchase Confirmation is your Gift Certificate. 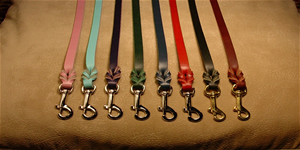 Leather Leashes ( Leads ) 6 Foot, Edged Burgandy 1/4 Inch Wide | 3/8 Inch Wide | 1/2 Inch Wide | 5/8 Inch Wide | 3/4 Inch Wide Available in Variety of Widths - Select yours below. 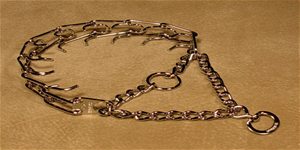 Herm Springer Pinch Collars Small 14" 2.25 mm | Medium 18" 3.0 mm | Select yours size below. 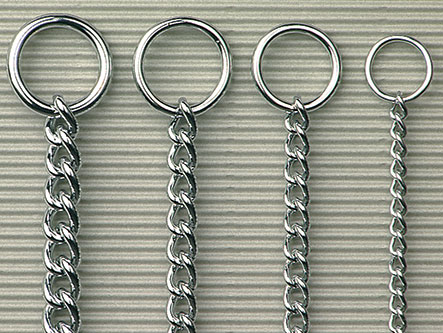 Herm Springer Slip Chains 14" 2.5 mm | 16" 3.2 mm | 18" 3.2 mm | 20" 3.2 mm |22" 3.2 mm | 24" 3.2 mm | 26" 3.2 mm Available in Variety of Widths - Select yours below. 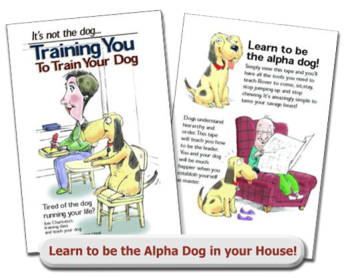 It’s Not the DOG…Training You to Train your DOG Tired of the dog running your life? This DVD will teach you how to be the leader. You and your dog will be much happier when you establish yourself as master. $24.95 Plus $4.95 shipping and handling. 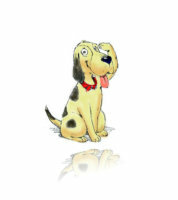 It’s Not the Puppy… Training You to Train your Puppy Start your puppy out on the right paw. Establish the leadership, patterns and behaviors you want for your puppy now. These traits will stay with your puppy for life. $24.95 Plus $4.95 shipping and handling. Buy Both of My Training DVD’s for $39.95! It’s Not the Puppy… Training You to Train your Puppy Start your puppy out on the right paw. Establish the leadership, patterns and behaviors you want for your puppy now. These traits will stay with your puppy for life. ------------------------------------------------- It’s Not the DOG…Training You to Train your DOG Tired of the dog running your life? This DVD will teach you how to be the leader. You and your dog will be much happier when you establish yourself as master. Plus $4.95 shipping and handling.